Virtual golf fans can be finicky. Some want to play and have the experience be as realistic as possible while others want to shoot golf balls that catch fire in the air and magically start spinning in a completely different direction. HB Studios knows that, but they decided the first type mentioned was going to be their audience and I’m glad they stayed that course with their latest release The Golf Club 2019. The marketing strategy was a disaster, in my opinion, but aside from that the new partnership with 2K Sports and solid game easily make up for the puzzling marketing moves. 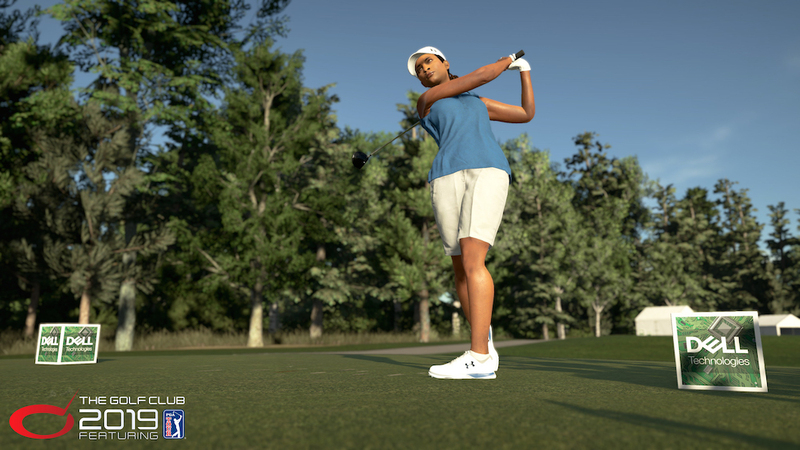 The biggest addition to the latest release of The Golf Club series is the PGA license. The Golf Club 2019 includes official courses such as TPC Boston and TPC Summerlin. The PGA license is also found in the much-improved career mode. Your career starts on the web dot com tour working your way to the coveted PGA tour by winning three events on the web dot com tour. Along the way, you receive sponsorship goals which when met, unlock clothing items such as Under Armour golf shoes. If you find you are crushing the ball and winning every tournament, you can change the difficulty of the AI players to make each match more competitive. Unfortunately, the PGA Players are under a different license so there are no real players in career mode. The swing mechanism has been improved and includes three components: the backswing tempo, downswing tempo, and the swing plane. There are three club sets and the farther away you get from perfect tempo, the greater the shot inaccuracy. A slow tempo with the Beginner clubs is much more forgiving than a slow tempo using the Master clubs. One item of note is while the physics have continued to improve in this release, there seems to be an issue with spin not being accurately represented. Often times you can send in a shot with a high-loft club such as a 9-iron and the ball rolls like you hit a 5-iron shot. The character creation tool has been greatly updated allowing for more customization of your character including wrinkling, height, and weight. In addition, there a ton more clothing options to select with some of them being unlocked after completing specific sponsorship goals or reaching a specific character level. If you are the type of golfer that wants to change your outfit every round, you can go a LONG time without ever using the same outfit on the course. Multiplayer has also seen a big improvement with this release. 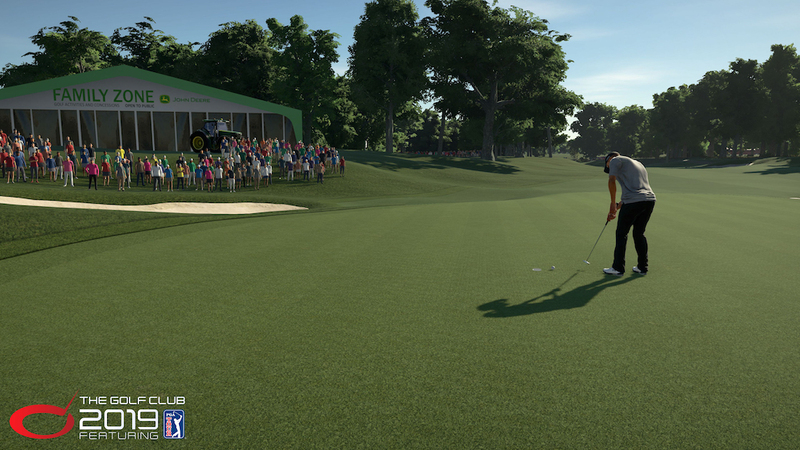 The Golf Club 2019 introduces several new options to the multiplayer experience. 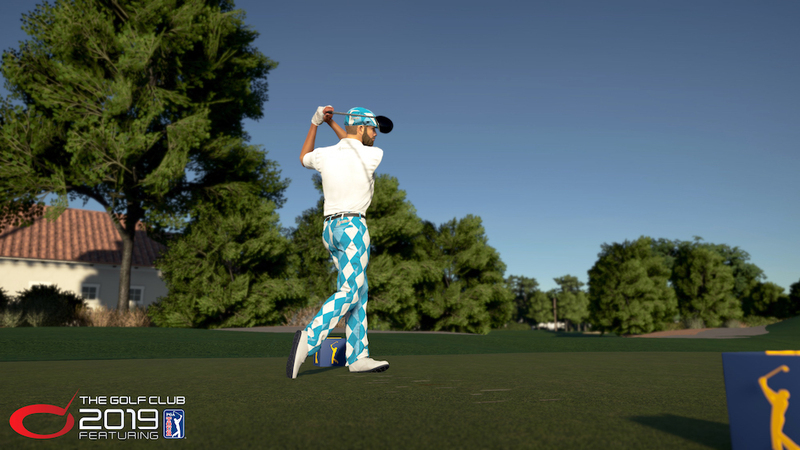 Four-ball, Alternate Shot, and Skins formats are now available to play in your Online Society. Speaking of Online Societies, they received a few new upgrades. You can now set event requirements based on criteria such as previous event results. Those players unfortunate enough to miss qualifying for the tournament can play on the Alternate event should that new option be made available by the Society Admin. The new Private Match feature is also a lot of fun. I played a few rounds of Skins play with friends and it was fun…or was it, adhering to golf rules while we played virtual golf. Anyway, I love the new multiplayer options added in The Golf Club 2019 and I’m sure you will too. The course designers out there will appreciate the improvements to the award-winning Course Designer. Additional objects including skyscrapers have been added to give you over 400 objects to place on your masterpiece. To make hole design easier, several tools have been added including SpeedTree technology and the autofill closed splines when drawing bunkers, greens, and fairways. I’ve never been big into course creation, but the more features they add to the Course Designer, the more tempted I get to start designing my dream golf course. HB Studios stepped up big with the release of The Golf Club 2019. Not only do they now have the PGA license, but the new partnership with 2K Sports can take this game to the next level. Regardless if you are a long time fan of The Golf Club series or this is your first experience with virtual golf, you will find great joy playing this game. The Golf Club 2019 is available for the PlayStation 4, Xbox One, and Steam for $49.99. Go check it out, you won’t be disappointed. Abysmal marketing leading up to the release.